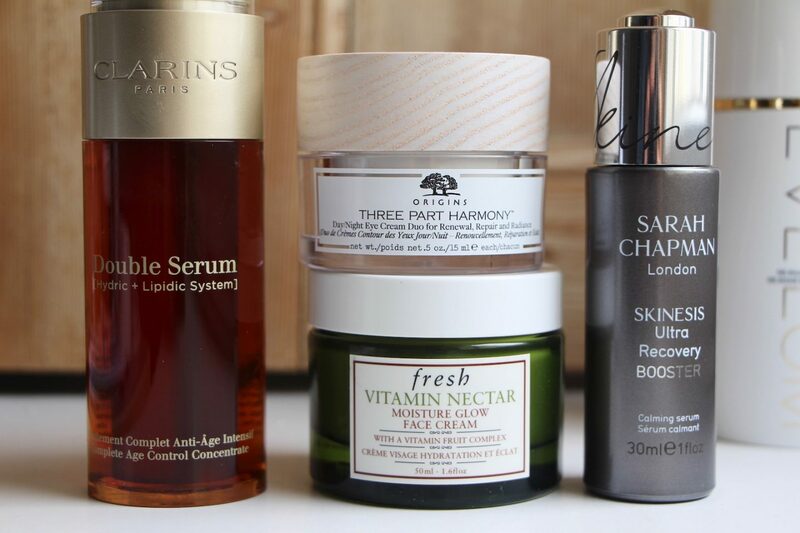 I’ve filmed a lovely video with John Lewis, all about Autumn skincare and pepping up your routine by adding in little beauty treats to prepare for the colder weather. 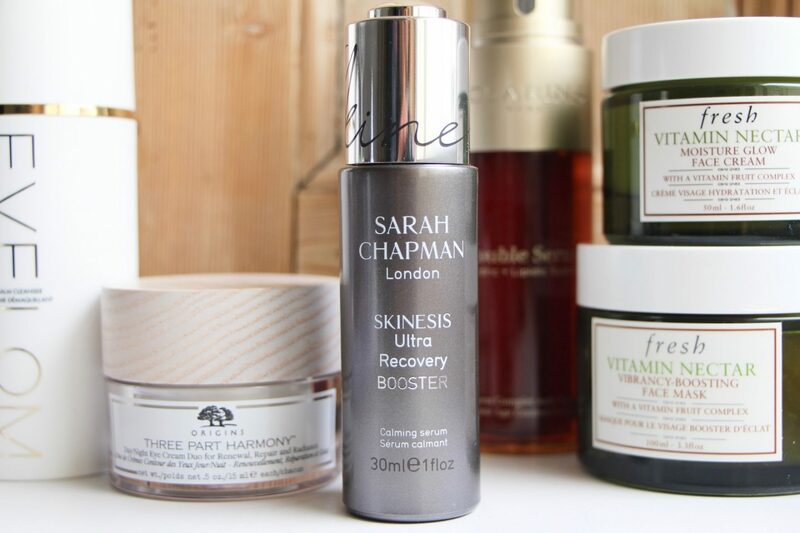 You can watch that video here but I wanted to have a run through the products, because some of them are relatively new to me and I do love a mini review! 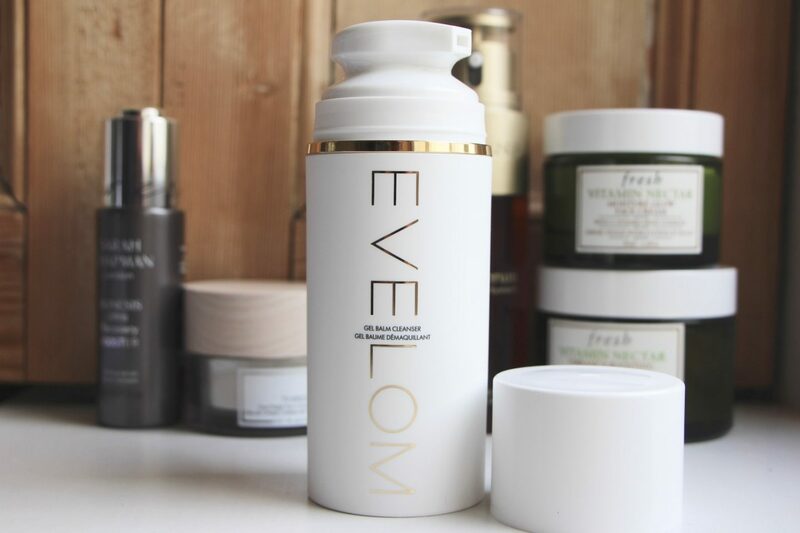 Eve Lom’s cleanser has had a bit of a facelift with this new, mineral-oil-free version. 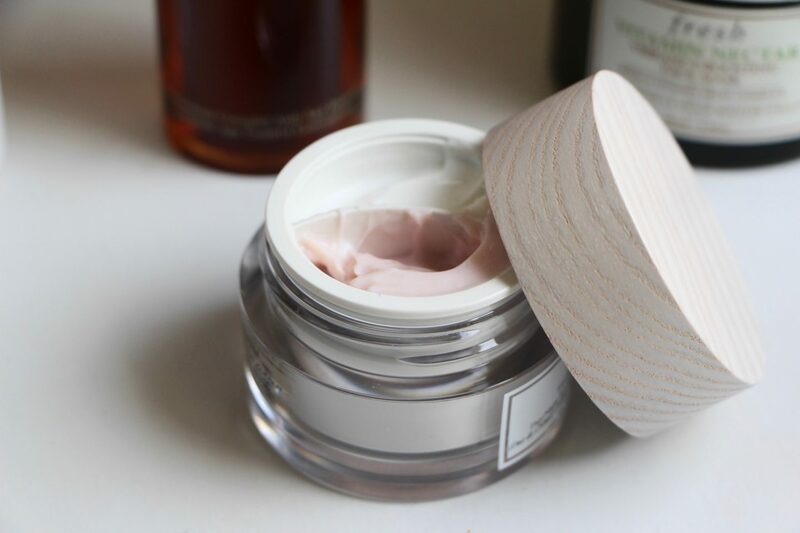 The original is a constant bestseller but the Gel Balm, with its convenient pump and silky texture just knocks that one out of the park. 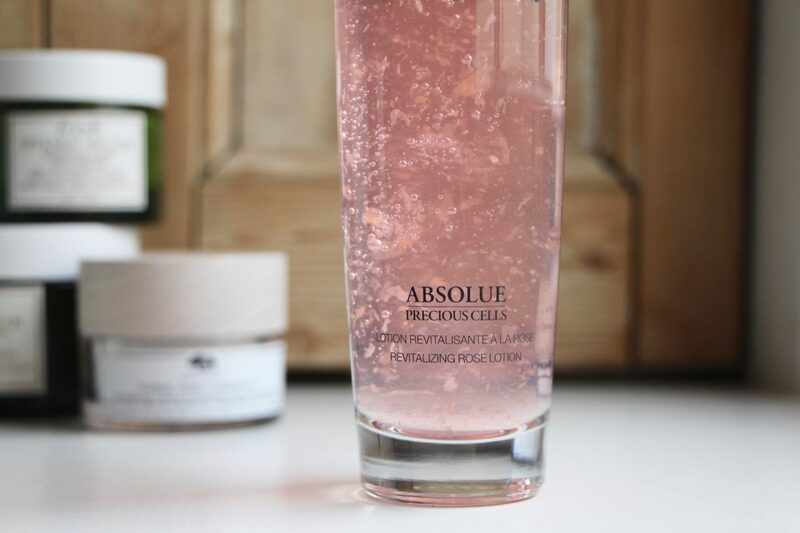 It does a great job of dissolving makeup, is easy to remove with a flannel and doesn’t leave your skin feeling dry after rinsing. 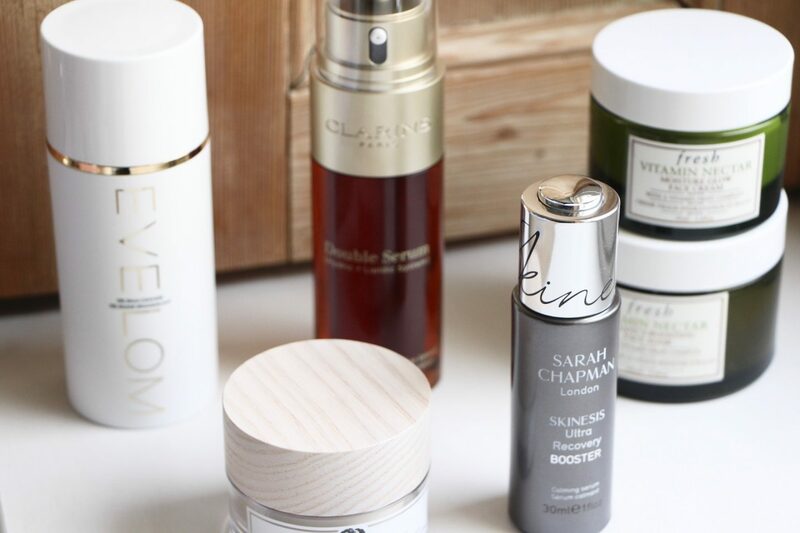 Essences are becoming more and more popular here in the UK; used pre-serum and post-toner (if that’s something you have in your routine) they are a lightweight way of adding in a bit of extra hydration, if your skin is feeling a bit weather-beaten. 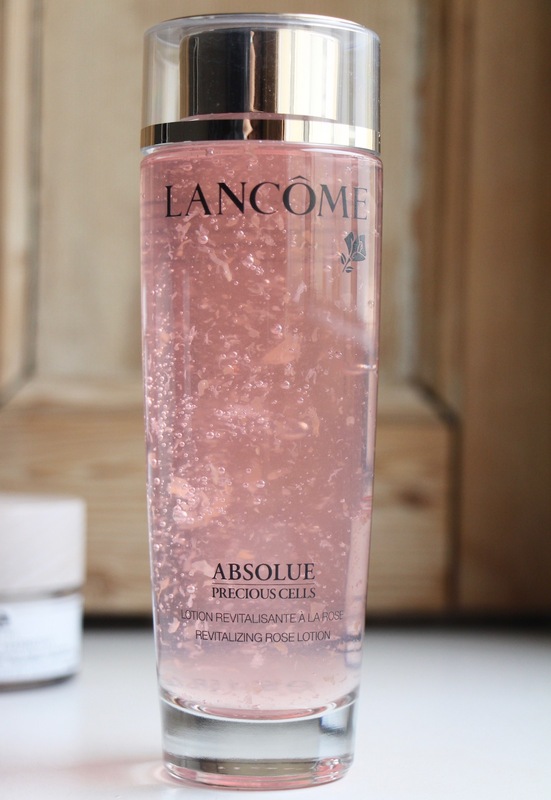 It feels very indulgent using an essence – probably because we’re so used to the cleanser-toner-moisturiser or cleanser-serum-moisturiser routine – and even more so with this one from Lancôme thanks to its rose petal extracts and heavy glass bottle. My Mum has been an almost compulsive user of Clarins Double Serum ever since it launched (she’s on bottle number 7243) and so it was only a matter of time before her enthusiasm for it rubbed off on me. 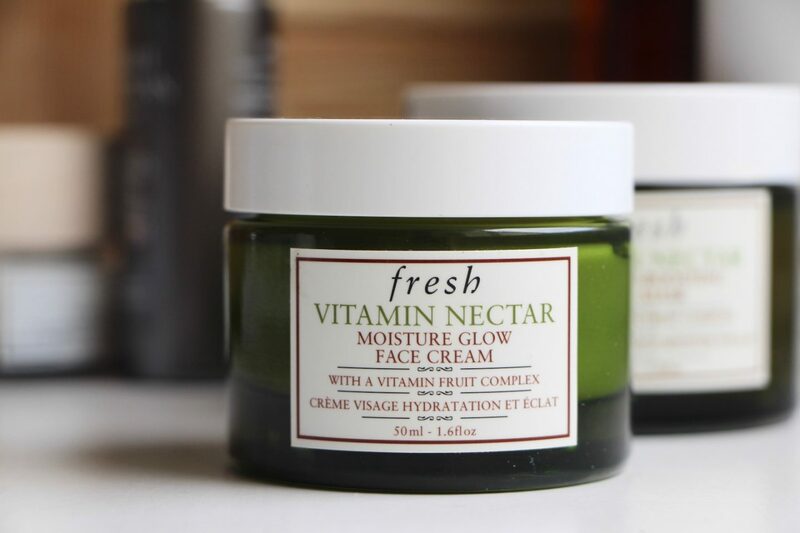 It’s a pretty comprehensive formula that tackles dehydration, fine lines and helps to make everything look just that bit more even and toned. 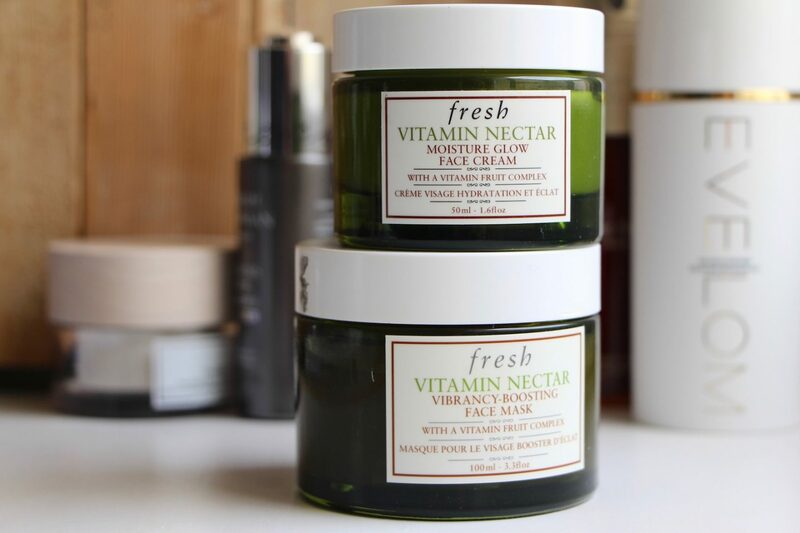 Fresh is a glorious beauty brand that was previously rather hard to get hold of, unless you ordered directly from their online store. Great to see it in John Lewis and great (for me!) 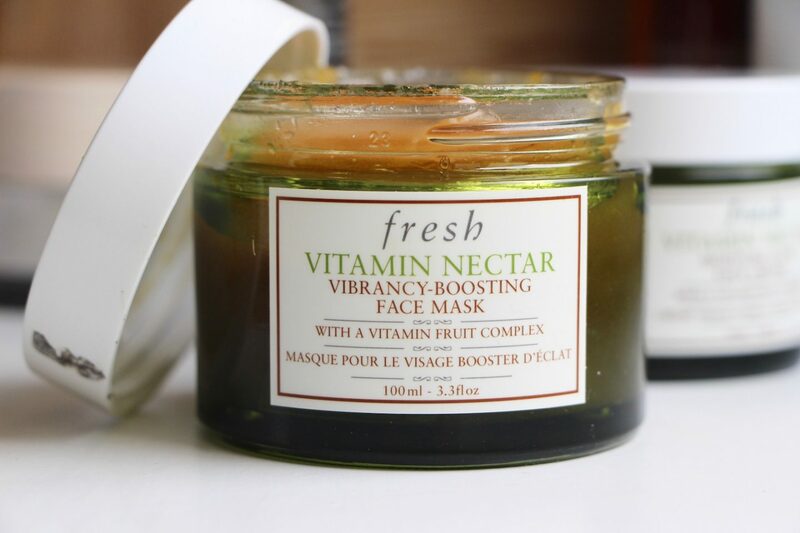 to have the chance to test out the Vitamin Nectar range, which promises to brighten and revitalise and “minimise signs of tired skin”. It’s as though they read my mind. Talking of TLC, here’s the little bonus ball I was talking about at the start of this post. 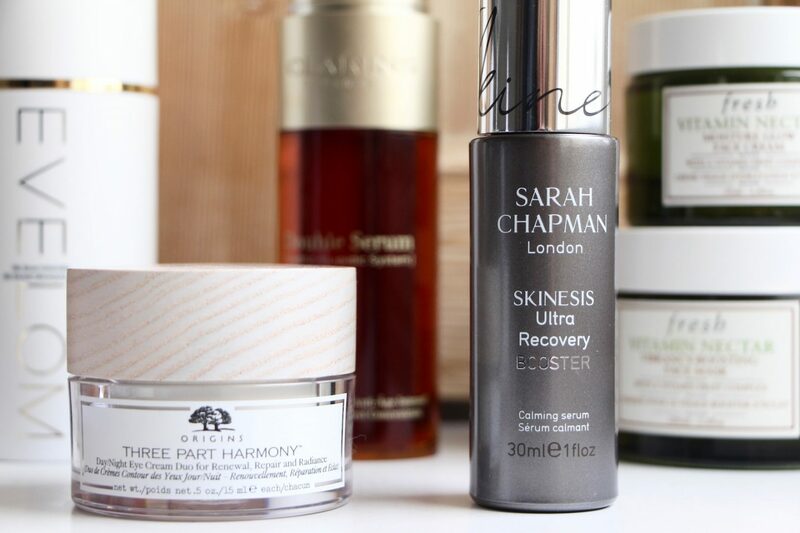 The Ultra Recovery Booster from Sarah Chapman, a calming serum that can be added into your face cream or applied directly to your skin. 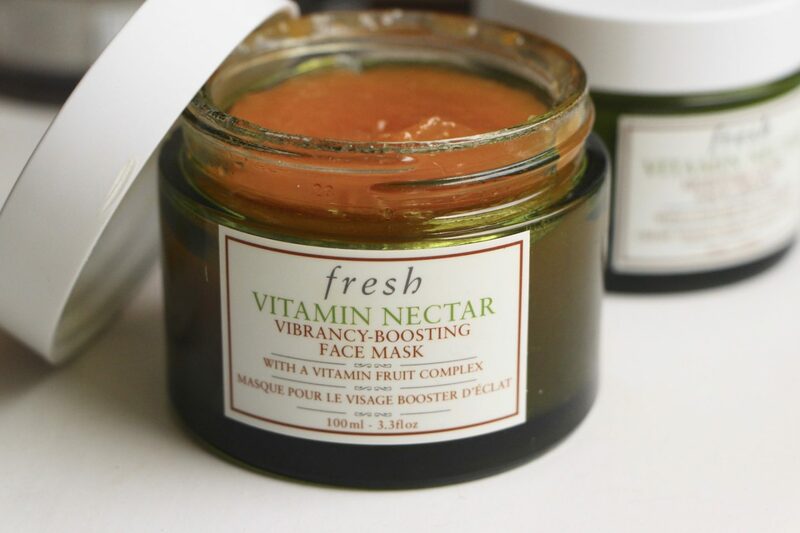 Either way, it provides a hit of essential fatty acids and anti-inflammatories that help to soothe and repair your skin. 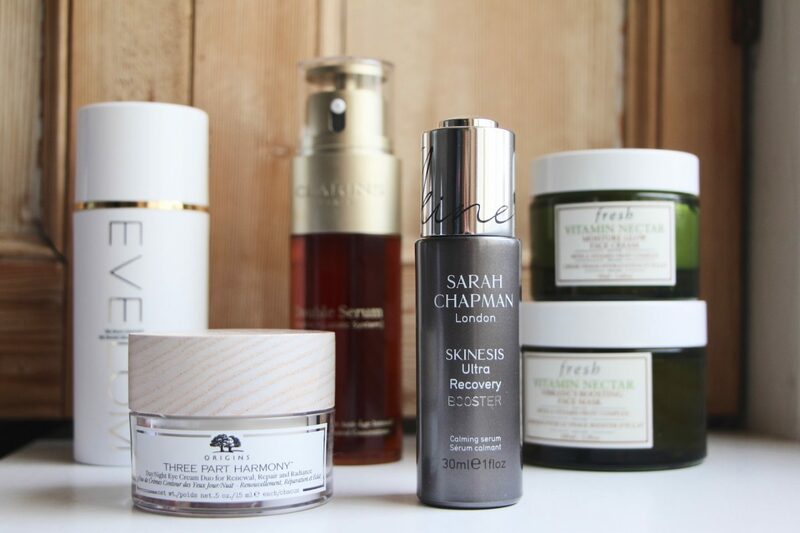 If your skin is suffering with the classic Autumn Blight (central heating indoors, cold winds outdoors!) then this is like a little bottle of calm. And finally: the mask that looked good enough to eat, so I did actually try and eat it. Not advisable, ever, so try and restrain yourselves. This is basically why I exist, to do stupid things so that you don’t have to. Unicorn boots, lip-plumpers, hair cuts, acid peels that virtually de-skin you..
At any rate, you don’t need to eat this mask to enjoy it. It’s like pasting yourself in a heavenly citrussy jam. Which I suppose would be called marmalade, strictly speaking, but the word “jam” is so much more evocative of how this mask spreads and feels. Oh, the doldrums when you finally have to rinse it off. 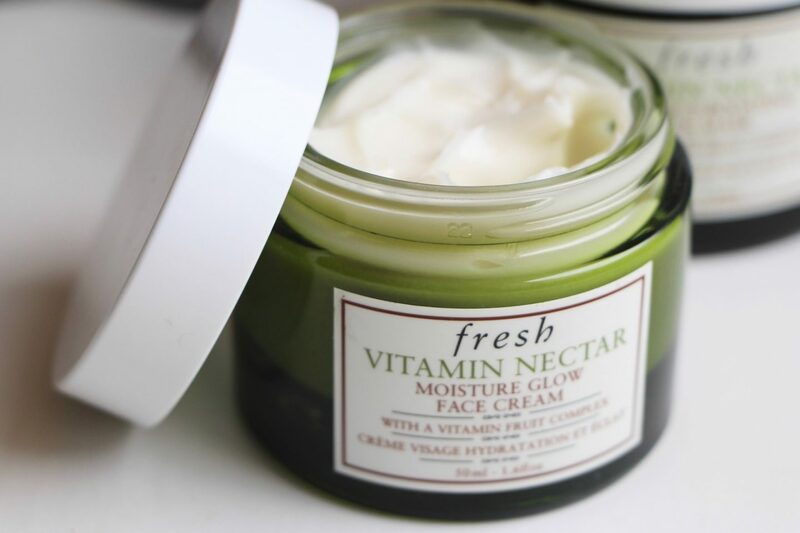 But at least it leaves your skin noticeably perkier – the fruit acids exfoliate away dead skin cells, bringing on a fresher-looking face that’s bright and glowy. A good hangover mask, this one. I’d say store it in the fridge, but you just know it’ll end up on toast. Right: mini reviews over. 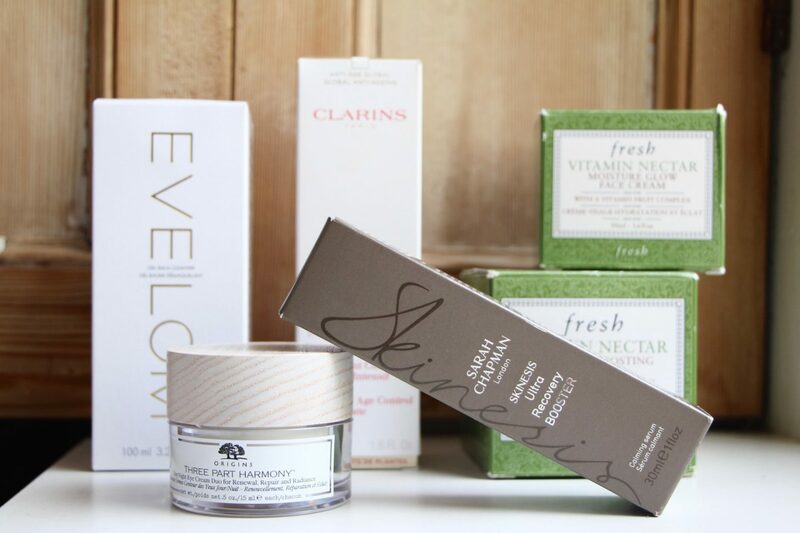 You can watch my video with John Lewis here and I will be back with more skincare shortly!